Vintage "The Flintstones" Big Time in Bedrock book. Porcelain vintage LOCOMOTIVES bookends made in Japan. F.W. & Co 1999 Beatrix Potter Peter Rabbit Bookend Watering Can. N.S. Gustin Co heavy porcelain Cat bookend, stand, paperweight. N.S. Gustin Co porcelain Cat bookend, stand, paperweight. The Little Golden Book 8 books from 1977 and 1978 Engine, Mother Goose, Scuffy, Rhymes etc. 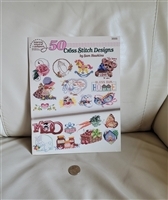 American Needlework book of patterns and instructions. VOGUE poster book 1970 with single covers for collection or framing fashion from 1911 to 1927. Vintage Webster Dictionary of the English Language Unabridged, Encyclopedia Edition 1977.